The SLSC Head Start Program is designed for all recreational players at any level. 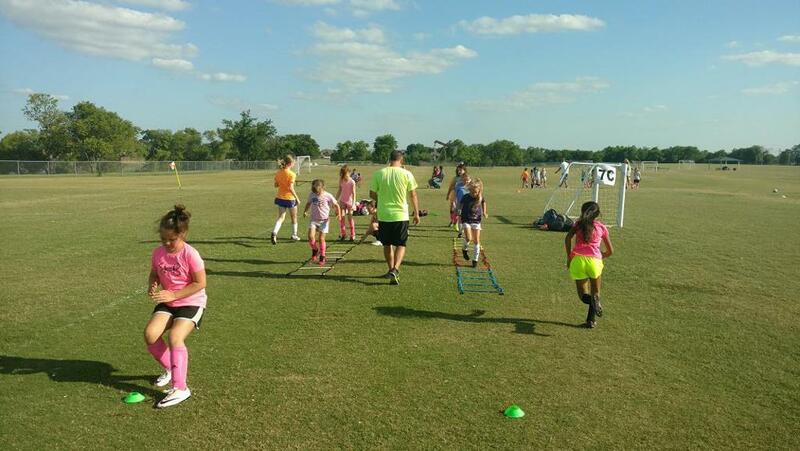 The Program is offered by the South Lakes Soccer Club to increase the technical skills of its participants while keeping things challenging and fun. These hour long sessions will challenge players to take their technical skills to the next level. Players will be sorted by age and ability. They will primarily be in these groups for the duration of the program. Specifically, coaches will work with the players on ball mastery, fast footwork, juggling, dribbling, dribbling to beat an opponent, dribbling for speed, passing, shooting, receiving, etc. This program will allow players to continue to play on their recreational team of choice while getting additional training that will help them take their game to the next level. This program will also offer coaches a great opportunity to have a professional staff work with their players and can be used as a practice for the entire team. Coaches are encouraged to attend, take notes, ask questions, and take ideas back to their teams on a regular basis. All Sessions will be held on Friday nights from 630p-730p.